Imagine a place where you can come as you are and work through the concerns that are causing you distress. Within this space you will find that you have the freedom to be honest about your situation. Here, you can explore the concerns that are hindering you from living a fulfilling life and work to find the root of the problem. Now, imagine working with a supportive therapist who will join you as you journey through the storms of life. 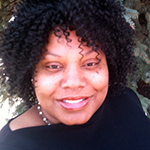 April Thomas-Kenney is a Licensed Clinical Social Worker who provides counseling for women from a Christian perspective. Collaboratively, she works with you to identify your goals for treatment. A biblical approach is integrated with psychological concepts to help guide individuals through the healing process. April is dedicated to providing a place of healing, growth, and relationship. She believes in being relational, transparent, and honest in her faith with the hope of helping others to heal. If you prefer traditional counseling/therapy, April is flexible and does not rely on a one-size-fits-all approach. Therapy is personalized to fit your needs. She believes that you have many strengths that will assist you with healing. Her desire is to help you to live the life that you deserve. us and will only be shared with April Thomas-Kenney.